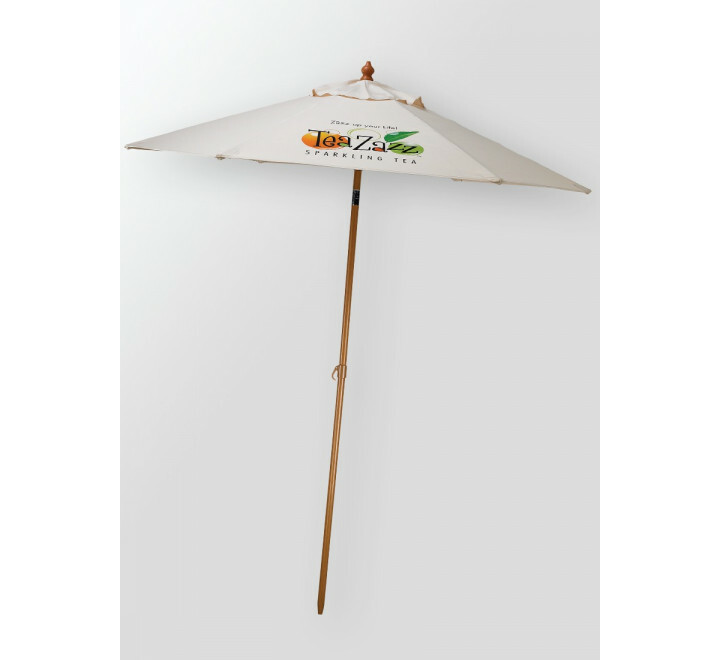 6 ft market umbrella with tilt feature. Aluminum frame with wood grain appearance. 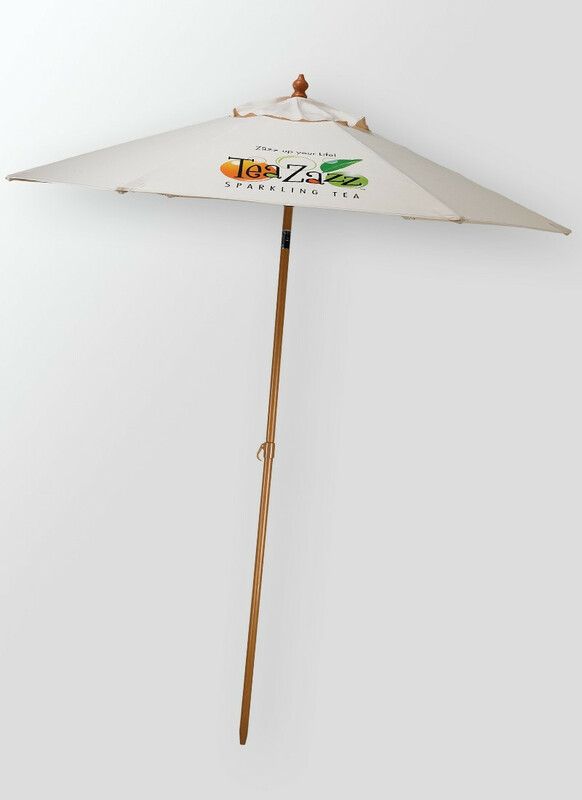 Great for outdoor restaurants. Great POP item! Polyester cover with wind vents. 6 panel configuration.